Last week my little buddy turned 2 years old. I know every mom says this but it really goes by so quickly. It wasn't too long ago that my little big bundle of baby was learning to roll over. 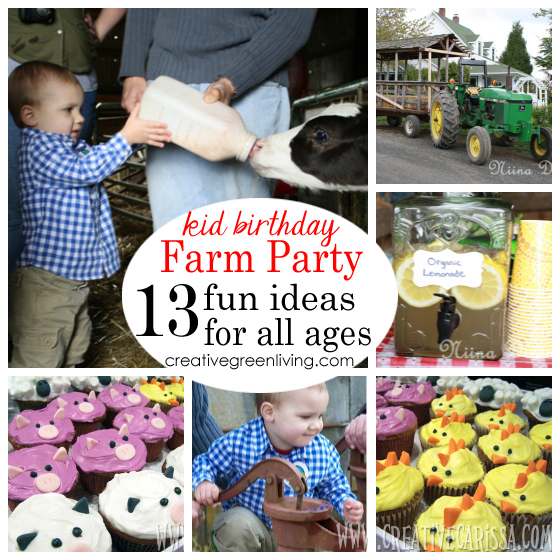 Here are some pictures from the farm party. Some of them are mine, some are from my friend Niina who blogs at The Niche. Check the watermark to see who did which. My goal overall was to have a fun party with minimal effort. The farm didn't need to be decorated because it already looked like a farm. 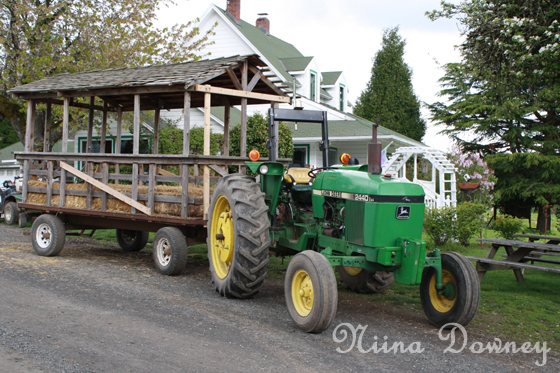 This particular farm (The Plumper Pumpkin Patch outside of Portland, OR) had activities like water pumps, slides, animals to look at and pet so I didn't plan any games. All I had to do was show up and set up the food. Easy! These were super simple but took a long time to make. 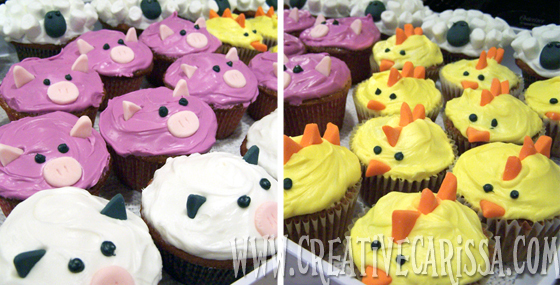 I bought a package of Wilton Rolled Fondant and used about an eighth of it to make these cupcakes. I rolled it out and cut out some circles for pig and cow noses as well as pig ears. Next I colored some orange for the beaks and combs on the chicks. Then I made some black for cow ears and sheep faces. The sheep were mostly baby marshmallows stuck to white frosting with black fondant heads. 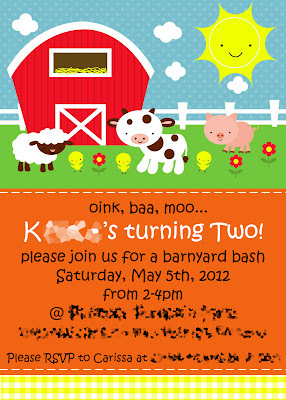 I found cute little farm animal graphics online to make into the invitations. I picked up the tablecloth and buckets from my local dollar store. The goal with the food was to keep it simple. 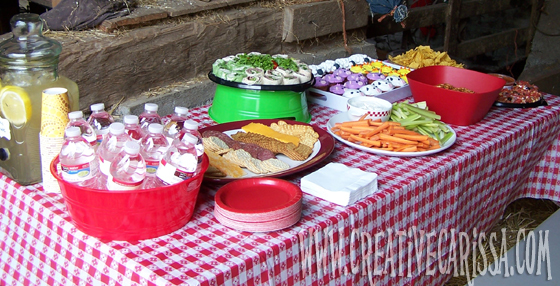 Bottled water, pre-sliced cheese, crackers, carrots, celery, dip, pre-made pinwheels, pretzels and 7 layer dip. 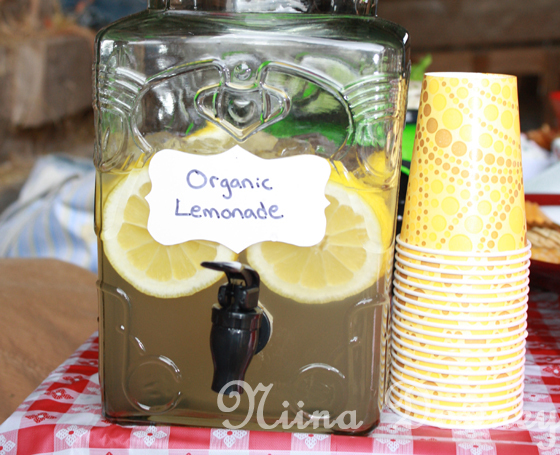 I also made a large thing of Organic Lemonade from Frontier Naturals . The label is written on contact paper to make it easily removable. 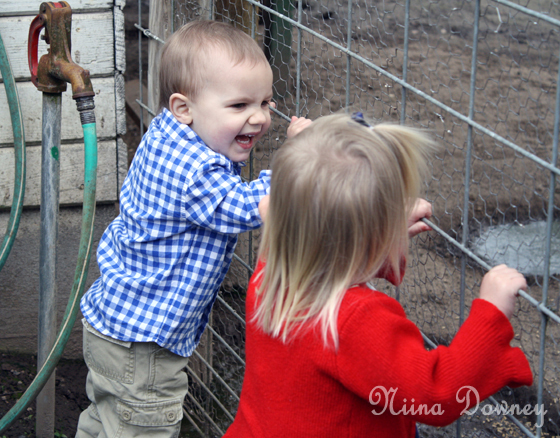 We found a great farm near us that had lots of animals available for visiting. 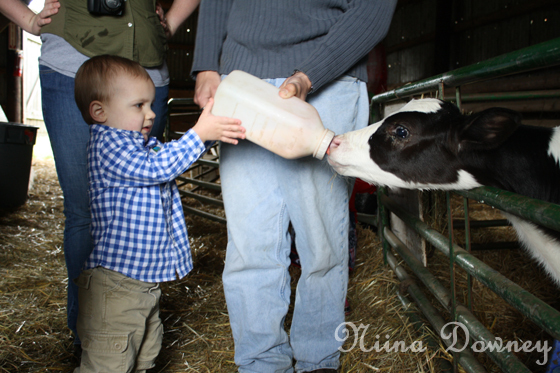 They let us feed a baby cow her bottle, play with some old fashioned water pumps, go down huge slides and plant a row of pumpkins that they labeled so we can some back and pick a pumpkin from that row in the fall. It was a memorable day and was a great way to entertain kids of different ages with minimal work from me. All I had to bring was food! 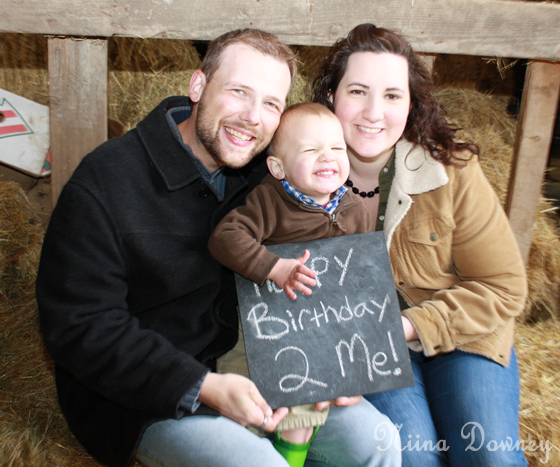 A huge thanks to my in-laws who sponsored K's party for his birthday present! 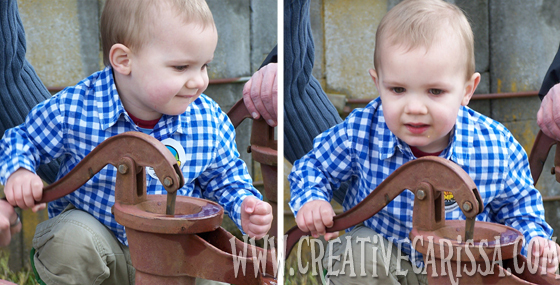 Thanks also to Niina for letting me borrow her pictures for my blog. Oh sorry to hear about your harddrive! Did you find the farm picture on the internet? Maybe I could have a friend help me recreate it if I can find the farm scene.